If you thought being productive at home was just another oxymoron, think again. 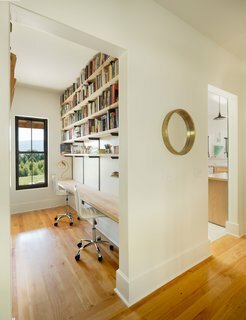 Here are six tips for creating a focus-friendly home office. As luxurious as it might sound, working from home requires a level of self-control, discipline, and boundary-setting that sometimes can feel almost impossible when chores like laundry and cleaning are all around. Fortunately, the right kind of design can keep these types of temptations at bay. 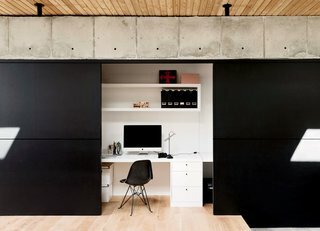 Whether your workspace is big or small, below are six easy, yet effective ways to transform your home office into a place that radiates creativity and productive vibes. 1. Get Out—and Stay Out—of Bed. While working in bed is appealing and comfortable (to put it lightly), studies have shown it's beneficial to avoid working where you sleep. There’s a strong link between spatial awareness and any activities involved in a space. What does that mean exactly? Well, if you regularly work from your bed, your brain will begin to associate the bedroom with work, potentially making it more difficult to fall asleep. Therefore, make a distinction between places of repose and of work in the home. Whether it’s a seat at the kitchen table, a desk in a nook, or an entire office, seek out a space that is dedicated to work so that as you settle in, your mind will already be connecting that area with a place of productivity. 2. Double Down on Decluttering. In order to remain focused while working from home, train yourself to do periodic cleaning in your workspace, such as letting go of old paperwork, and discarding any unnecessary accessories. The less extraneous stuff you have around you, the more focused you’ll be once you sit down to work. 3. Invest in a Nice, Comfortable Chair. 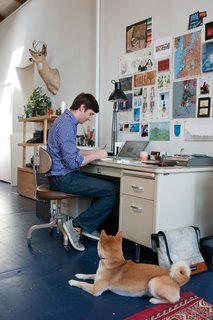 While decluttering might not be fun, picking out a comfortable desk chair certainly can be. 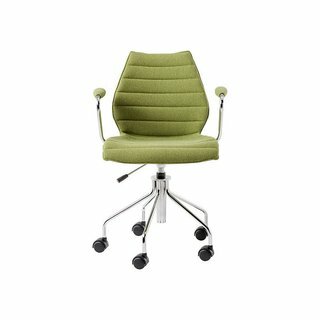 Yes, you'll want your desk chair to be stylish, but because you’ll likely be spending several hours a day sitting in it to work, make sure it boasts ample comfort, too. Not only will you need an option that has strong back support, but you may also want to consider a chair that has some give or cushioning on the seat. 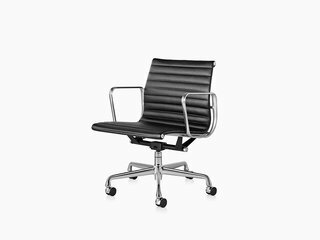 Originally designed in 1958, the Eames® Aluminum Group Management Chair is both classic and contemporary. 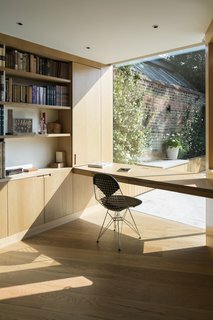 The desk chair's clean, trim lines make it appropriate for all kinds of places, from contemporary homes to elegant offices to hip start-ups. In the mid-1990s, Vico Magistretti combined his designer's eye with the latest in structural engineering. The result was the elegant and distinctive monocoque shell of the Maui Chair. 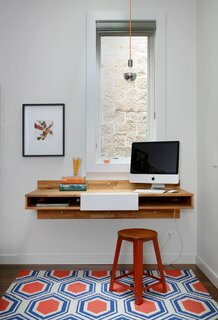 Even if your workspace is at your kitchen table, you should feel excited and even inspired when in the area, so make it a place that helps motivate you. Whether that means hanging up intriguing pictures, or surrounding yourself with books and writers that you most admire, these visuals might be that extra push of motivation to finish a project or meet a deadline. If possible, try and site your workspace with a view—or even a glimpse—of the outdoors. Natural daylight has been proven to improve mood and productivity, and will also reduce the need for artificial lighting. Yet it you can’t be near a window, add a plant or two to your area. The greenery will bring life to the space, and indoor plants have the added benefit of reducing carbon dioxide levels, among multiple others. 6. Give Yourself the Tools to Stay Organized. A disorganized workspace can make it difficult to find paperwork, bills, notes, and other items in a quick and efficient manner. Save yourself time, frustration, and headaches by filling your office with accessories that can help keep you organized and focused. No matter if it's buying a few shelves, a drawer organizer, or something as simple as a pen holder, the right desk accessories can make a huge difference with your productivity levels. Therefore, seek out items that will help you want to stay organized, such as using brightly colored folders, or a sleek filing cabinet that goes with the rest of your furniture.